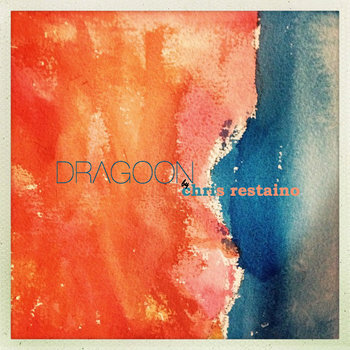 This week, we are featuring Chris Restaino, a local alternative, indie rock musician from Berklee. 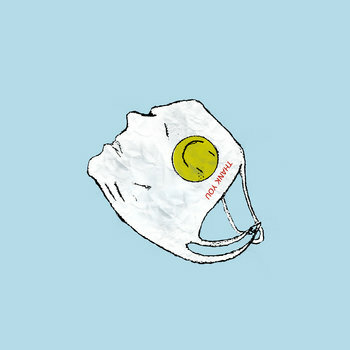 I’m a huge fan of his most recent EP “This Time It’s Alive,” which is unique, active, and full of creative, catchy grooves. And he might just be the only artist I’ve come across who lists both the ukulele and “noises” among his instruments. Confused? Listen to the track below. He pulls it off. Nitesh: Tell me about yourself. When did you start writing music? Chris: Well, I’m in Boston right now. I’m 21, I’m a nice guy. I like long walks on the beach. I started making music when—well, I started seriously making music when I was in junior year of high school which was around 2009. Nitesh: What was your experience moving to Berklee and being in Boston? Chris: I love it here. It was great coming from New Haven. Especially since I came from a suburban campus. Boston was just totally different from that. When I first moved here, I lived right by the MFA right in Boston. Now it’s in Allston. I love it, especially going to Berklee, there’s just musicians everywhere. Nitesh: How would you describe the music scene here? Do you think there’s any genre you have to fit into? Chris: It’s pretty good. There are a lot of local bands and a lot of people who really want to help you get your music out there, who want to help you book shows. There are a lot of great people in the music scene at Boston. But as a Berklee student, there’s also a lot of competition. So you gotta get out there, and sure those people hear you. You hear all kinds of music here. Ska people, jazz, metalheads. Literally any genre, you can find a local band here that’s into that genre. Nitesh: Without using genre names, how would you describe your music? Chris: That’s a good one. I’d say its fun, upbeat, midfi—is that a thing? I know there’s low-fi and hi-fi music, I guess my music would be mid-fi. Like somewhere in the middle between high-fidelity and low-fidelity. Catchy too. Nitesh: What’s your favorite song on your EP and what do you like about it? Chris: I’d say at the moment, I don’t know. I like all of them. Maybe Counterfeit, the third song on there. It’s in seven which was new to me at the time. There’s just this riff in it that the second, I wrote it, I knew it would be awesome. And the rest of it just kind of wrote itself. Nitesh: Speaking of weird time signatures, you’re part of a math-rock band, aren’t you? Chris: Yeah Vitamin Sun. Most of that [the weird time signatures] comes from Kyle, the singer and primary song-writer of the band. Nitesh: What are some of your influences? Chris: Recently, I’ve been listening to The Strokes, The National, Spoon. Also, Outkast, I know it’s a totally different genre. I’m down for any kind of music, except country, not a big fan of country.My influences change based on who I’m listening to at the moment. When I first started—well, the Red Hot Chilli Peppers are the reason I started playing music. It’s a generic band to name drop but it’s the reason I started playing the bass. And it kind of stems from there. Nitesh: What do you have planned next for your music? Chris: Right now, I’ve been focusing a lot on my band Vitamin Sun. We’re actually just finished up our EP. I’m also working on my own stuff, hoping to release an EP thats a continuation of the other EP I released earlier this year. Nitesh: When you write a song, how do you know if it’s going to be a Vitamin Sun song or just your own song? Chris: Well, my songs are usually not in weird time signatures. And also Vitamin Sun songs are usually written by all of us. We’ll jam during practice, and someone will have an idea. My songs are made when I’m sitting down on a guitar or a piano. My songs are way more personal to me. I like to write every instrument in my songs. In Vitamin Sun, I just write my part. Nitesh: What are some of the most meaningful lyrics in your songs? Chris: Hmm. That’s difficult, I have a lot of songs I haven’t released yet. But it’s probably something from my more recent stuff. I’d say the lyrics from the song, “Always Changing,” the last song on my EP. It’s about—well literally the title—but it’s about why everything and everyone is always changing and just coping with that. I try to write lyrics that are the universal thing. I try to write vague enough lyrics where people can listen to them and have their own meaning for them. Nitesh: Were you thinking about anything specific that was changing in your life? Chris: It was a change that happened over a long period of time, transitioning from high school going to college, transferring from University of New Haven, CT to Berklee. I studied music there and had a lot of great friends there but [University of New Haven] just wasn’t for me. A lot of my close friends transferred with me. A few of my friends actually came up here to Boston. But I’d say the song is about me realizing that my life was one way where I was happy and content with my life. And then before I knew it, I was in a totally different place. And I’m also happy and content here too, but you don’t even realize it sometimes. Nitesh: What are three things most people don’t know about you? Chris: I like to paint. My apartment is filled with a bunch of mediocre paintings I’ve done. Both covers from my albums are paintings that I’ve done. One of them I did when I was ten, I just found it in my closet one day. I have 5 solo albums that I haven’t released yet. And sometimes at night I’ll put on a mask and just be a vigilante. I’ll go around fighting crime. You can decide if you believe that or not.